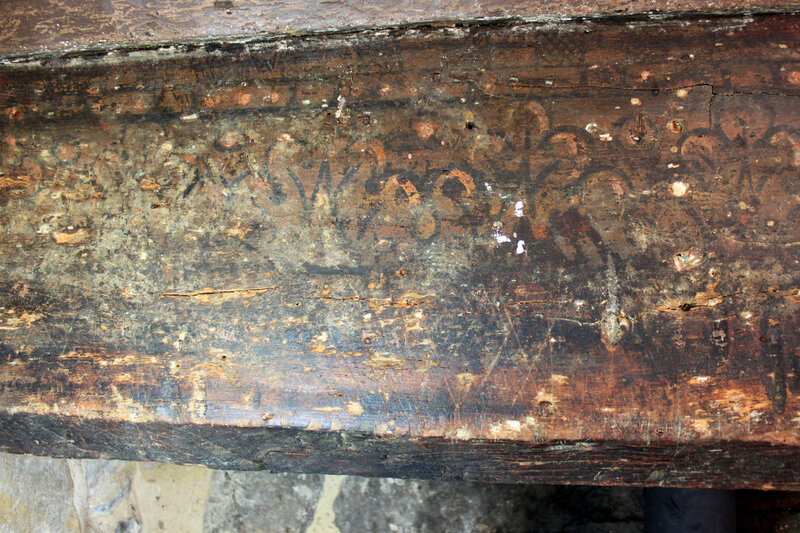 Surveying finds - a painted fireplace bressummer. 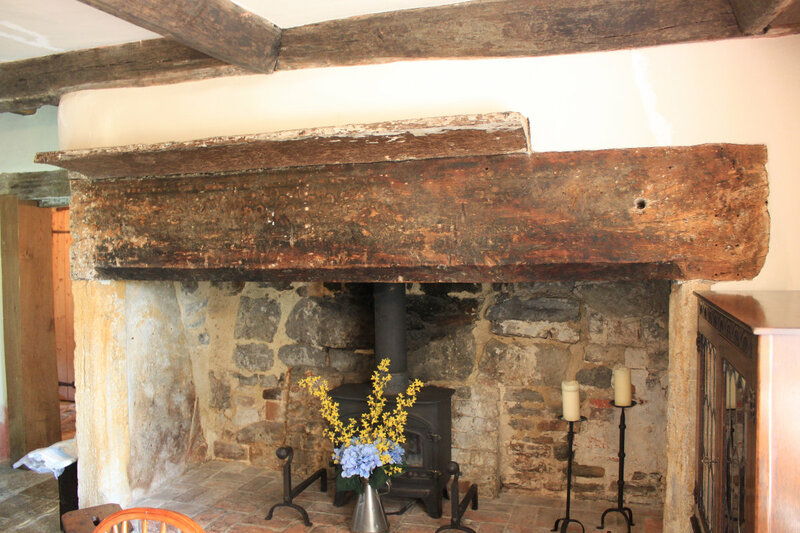 Found in a survey of a house on the Somerset levels, an original painted fireplace bressummer beam. 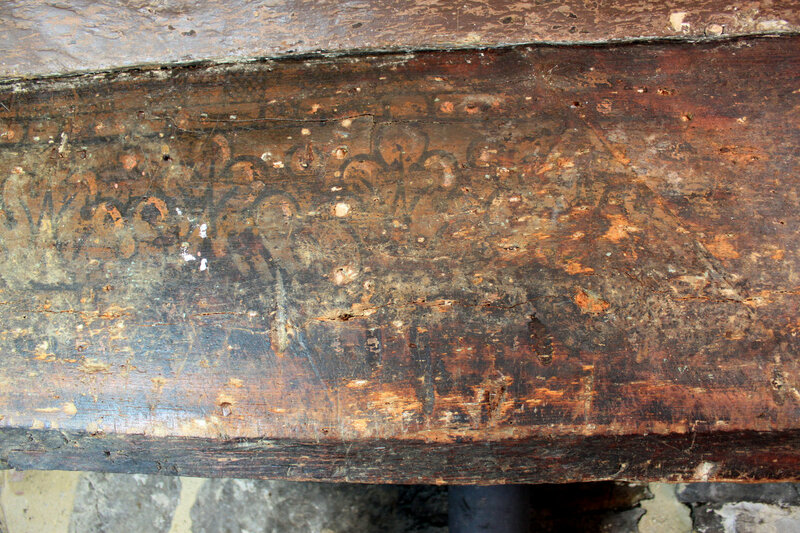 The house looked to be early C16, and had a datestone of 1585. 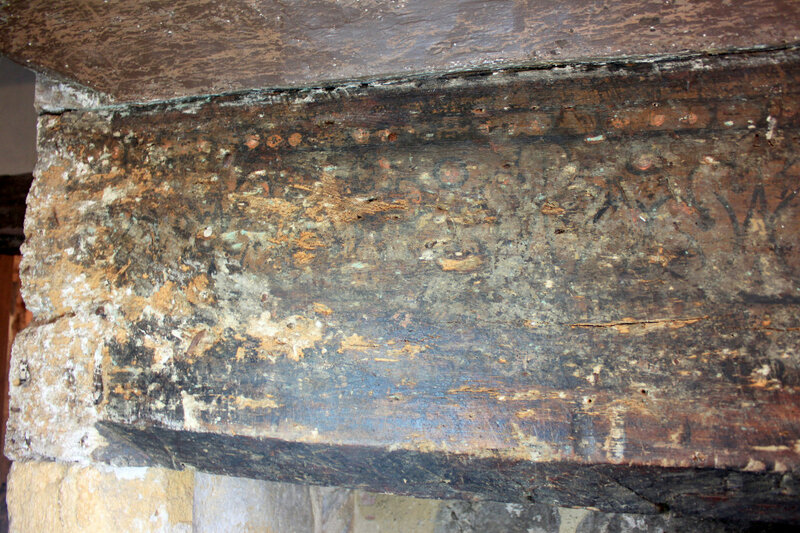 This was thought to be the date of the upgrade when the fireplace was inserted. The painting is somewhat obscured by the inevitable smoke blackening from the fire. 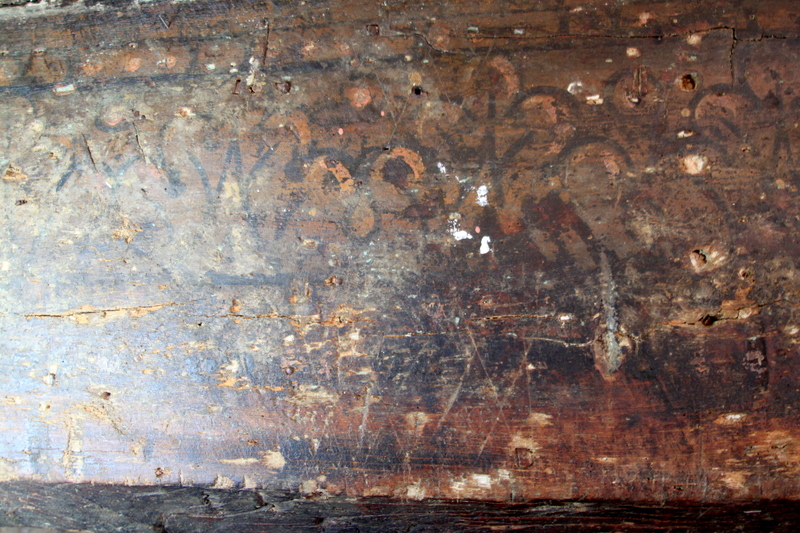 The pattern is repeated flower shapes, thought to be Fleur de Lys. These are below two courses of painted bricks and what looks like iron grates. There are also a series of dots and what could be "eye" symbols. 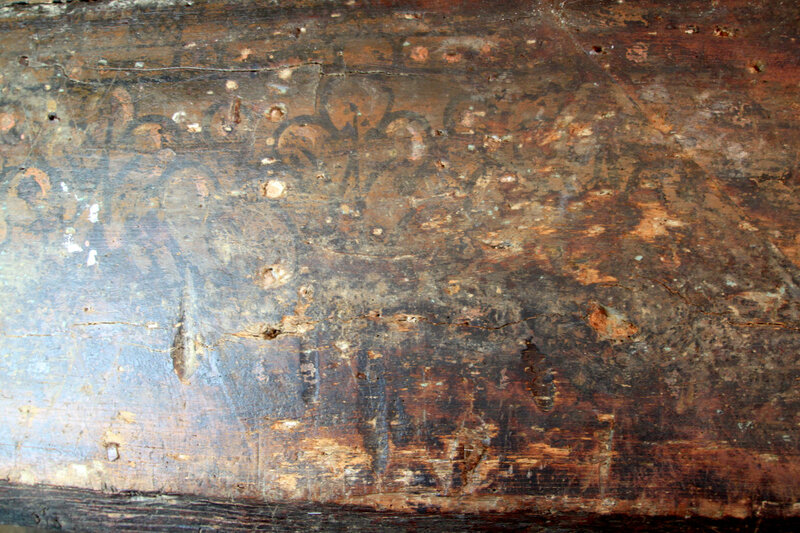 Taper burn marks have been applied to the painting. 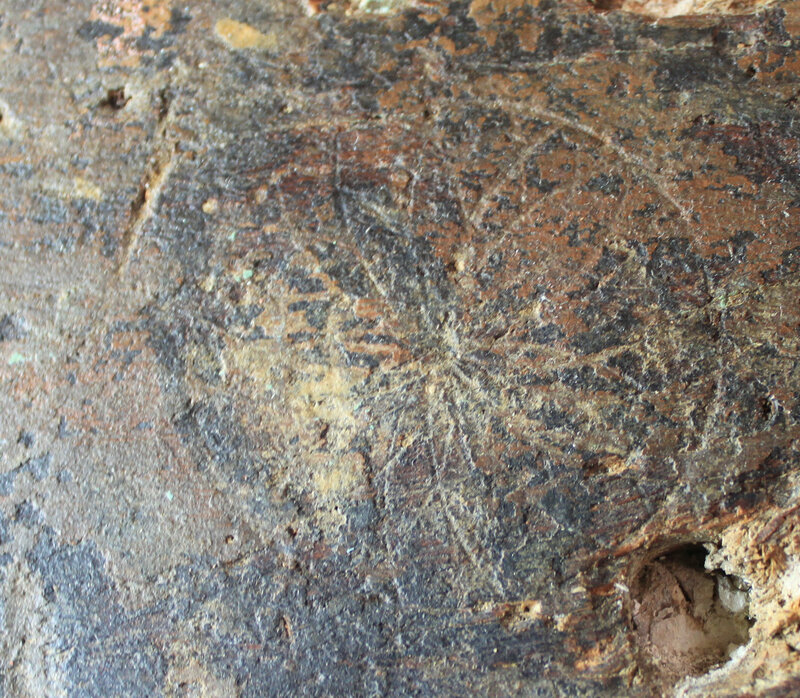 There are also "W" witch marks and daisy wheels scratched into the painting surface. 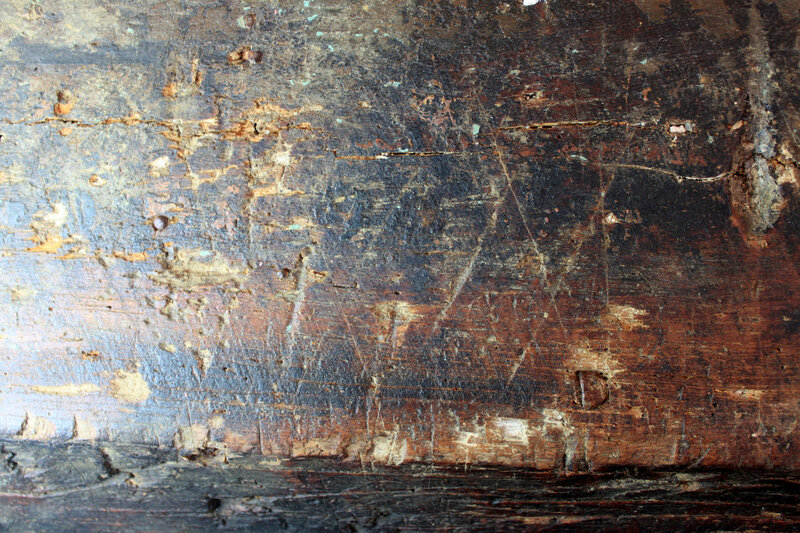 Such ritual protection marks could be expected during the period of 1580 to 1630, when fear of witchcraft was rife.